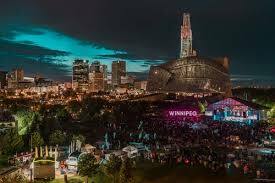 Winnipeg, the vibrant capital city of Manitoba, is located near the geographic centre of Canada and North America. A culturally and ethnically diverse population of more than 700,000 brings a warm and welcoming spirit of “joie de vivre” to the city’s cosmopolitan, international flair. Designated the Culture Capital of Canada 2010, Winnipeg offers a variety of arts, culture, sports, recreation and entertainment sure to satisfy every taste.